‘Transporter’ is a collection of video recordings of figures preoccupied in the performance of individual, often private activities. I collaborate with both non-professional and professional participants (circus performers, magicians and dancers). Each recording speaks of being on a ‘threshold’ between two different existential planes. The figures depicted are projected life-size onto sculptural forms that act as anchors for the image. In the interim between projections, the plinths are revealed creating a sense of physicality that surfaces and recedes with the projected image. The figures thus function within a dual state: ghostly and transitory, they also simultaneously assert themselves as monumental figures, within the space. I am interested in the fragile ethereal nature of projections and constructing sculptural installations that harness space and transform it. Whilst making these projections I have had in mind effigies in churches and an idea of architectural forms within space that house phantom figures suspended between two worlds. I continually explore installation formats and I have configured works together and apart in gallery, public and commercial spaces. 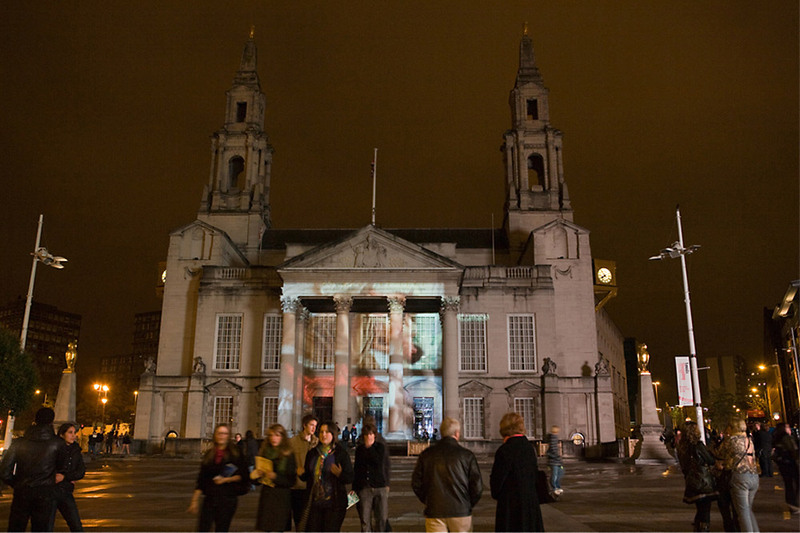 These include a projection across Civic Hall, Millennium Square, Leeds; installing works in disused shop windows (working with LUMEN, UK), and site specific installation at The Hilton Hotel (The Trafalgar) London. Gallery exhibitions of transporter include a solo exhibition at V22 Project Space (London); 'Physicology' at Gooden Gallery, London; 'I am Solitary I am an Army' an exhibition curated by BeersLambert at Surface Gallery, Nottingham; and 'Worlds Islands' Musrara Mix Festival, Jerusalem. Works from the project have been shortlisted for a number of awards. These include the Stoke-On-Trent Festival (UK, 2011), The Art Takes Miami Award (USA, 2010) and The Renaissance Arts Prize by The Italian Cultural Institute (UK, 2010). The piece 'Whistling Man' was a prize winner of The Helen Keller International Award (UK, May 2011).